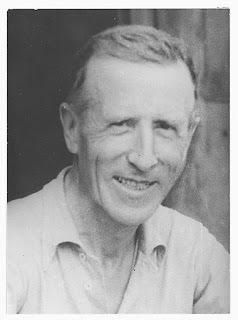 Eternal God, the whole cosmos sings of your glory, from the dividing of a single cell to the vast expanse of interstellar space: We bless you for your theologian and scientist Pierre Teilhard de Chardin, who perceived the divine in the evolving creation. Enable us to become faithful stewards of your divine works and heirs of your eternal kingdom; through Jesus Christ, the firstborn of all creation, who with you and the Holy Spirit lives and reigns, one God, for ever and ever. Amen. Seek the LORD while he may be found, call upon him while he is near. Let the wicked forsake their way, and sinners their thoughts; Let them turn to the LORD to find mercy; to our God, who is generous in forgiving. For my thoughts are not your thoughts, nor are your ways my ways—oracle of the LORD. For as the heavens are higher than the earth, so are my ways higher than your ways, my thoughts higher than your thoughts. Yet just as from the heavens the rain and snow come down And do not return there till they have watered the earth, making it fertile and fruitful, Giving seed to the one who sows and bread to the one who eats, So shall my word be that goes forth from my mouth; It shall not return to me empty, but shall do what pleases me, achieving the end for which I sent it. For the leader. A psalm of David. A song. To you we owe our hymn of praise, O God on Zion; To you our vows must be fulfilled, you who hear our prayers. To you all flesh must come with its burden of wicked deeds. We are overcome by our sins; only you can pardon them. Blessed the one whom you will choose and bring to dwell in your courts. May we be filled with the good things of your house, your holy temple! You answer us with awesome deeds of justice, O God our savior, The hope of all the ends of the earth and of those far off across the sea. You are robed in power, you set up the mountains by your might. You still the roaring of the seas, the roaring of their waves, the tumult of the peoples. Distant peoples stand in awe of your marvels; the places of morning and evening you make resound with joy. You visit the earth and water it, make it abundantly fertile. God’s stream is filled with water; you supply their grain. Thus do you prepare it: you drench its plowed furrows, and level its ridges. With showers you keep it soft, blessing its young sprouts. You adorn the year with your bounty; your paths drip with fruitful rain. The meadows of the wilderness also drip; the hills are robed with joy. The pastures are clothed with flocks, the valleys blanketed with grain; they cheer and sing for joy. He said to me, “They are accomplished. I [am] the Alpha and the Omega, the beginning and the end. To the thirsty I will give a gift from the spring of life-giving water. The one who comes from above is above all. The one who is of the earth is earthly and speaks of earthly things. But the one who comes from heaven [is above all]. He testifies to what he has seen and heard, but no one accepts his testimony. Whoever does accept his testimony certifies that God is trustworthy. For the one whom God sent speaks the words of God. He does not ration his gift*of the Spirit. The Father loves the Son and has given everything over to him. This entry was posted in Uncategorized and tagged Book of Revelation, death of Teilhard de Chardin, Easter Sunday, Gospel of John, Isaiah, Pierre Teilhard de Chardin, Prophet Isaiah, Psalm 65, teilhard, teilhard de chardin. Bookmark the permalink. He does not ration his gift of Spirit. Nor do you, William. Loved reading scripture first thing (well second, after reading scripture in my Magnificat). Thank you Cristina! Hope you have a blessed day! Thank you Claire. It is nice to see the legacy of Teilhard de Chardin recognized! What an inspirational tribute to a person who has inspired us so much, Thank you. I am also moved by your posts – having reached the final stages of a Doctor of Ministry that works with the ‘catholicity’ of St Mary of the Cross MacKillop and Pather Pierre Teilhard de Chardin. Looking forward to the anniversary celebrations next year. Wondering how to celebrate in my own corner of the world in South Austalia. Thank you.